There should be an immediate moratorium on carrying out any sentences issued by these courts, especially the three other death sentences that have been issued so far by them, CHRI said. There should also be an immediate halt on the activities of these courts until their procedures fully allow for due process and fair trial standards, and all sentences issued thus far should be mandated for review, CHRI added. 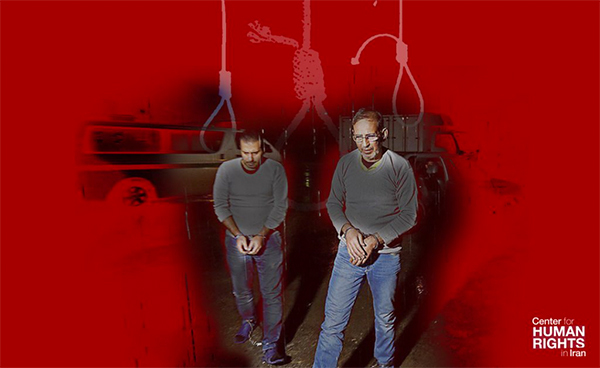 Vahid Mazloumin and Mohammad Esmail Ghassemi, two of the five people sentenced to death so far by the special economic corruption courts, we’re hanged at dawn in Tehran on November 14, 2018. Do not allow adequate time for defense procedures or appeal reviews. Restrict the right to choose counsel to the short list of state-approved lawyers that are designated for “national security” cases. Do not allow any appeal process except in cases involving the death penalty, and then appeals can only be made to the Supreme Court within 10 days. The three other individuals sentenced to death so far by these courts are: Dariush Ebrahimian Bilandi and Younes Bahaeddini who were sentenced by the special court for economic crimes in Fars Province on November 6 for “organized disruption of the country’s banking and economic network” (the two have appealed to the Supreme Court) and Hamid Bagheri, who was sentenced on October 1 along with Mazloumin and Esmaili. Bagheri’s death sentence has been transferred to another branch of the Supreme Court for review, his lawyer Mr. Ramezani told Mehr news agency on November 5. On October 21, Judiciary Spokesman Gholam-Hossein Mohseni Ejei announced that the Supreme Court had upheld the death sentences issued against Vahid Mazloomin and Mohammad Esmail Ghassemi.